For the past two days I’ve written about “fakers,” those who pretend their dogs are service dogs in order to take them into public businesses. Several of you have mentioned the difficulties some people with legitimate service dogs have in public, including being denied admittance to establishments. I reminded you that just because you can’t “see” a disability doesn’t mean there isn’t one. Let me be clear: If you refuse admittance to a person with a service animal, you are breaking the law. Doesn’t mean you’ll be prosecuted, because it seems only criminals who commit newsworthy crimes get arrested. But you should be, and you should be publicly outed for what you did. Afraid of the dog? Doesn’t matter. Allergic to pet dander? Doesn’t matter. Afraid of what MIGHT happen? Doesn’t matter. 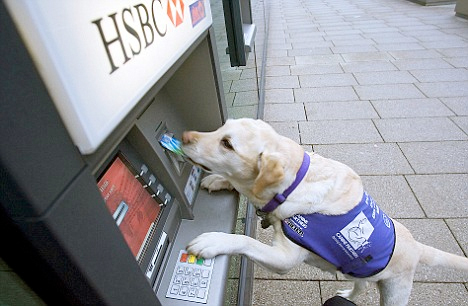 You MUST allow a person with a disability to enter your business with their service dog. HOWEVER, if you refuse admittance to a therapy dog or emotional support dog, you are NOT breaking the law. And if the person wants to raise a stink and publicly out you, let them. Then they can show themselves for the faker that they are. A good rule of thumb is this: If you are told the animal is a service animal, let it in. As long as the dog is under control, there’s no problem, right? If the dog isn’t under control, ask the person to get the dog under control or to remove it from your business. Then you haven’t broken the law. This isn’t rocket science. We all want to accommodate persons with disabilities, but that doesn’t mean we have to put up with shenanigans. Just make sure you do it legally. I don’t see this as a big problem in my area. Probably very insignificant when compared with the abuse of handicap parking. We either have the abuse or their are way too many physically healthy people driving with a mental handicap… scary thought. I guess that is why most around here just refer to it as Handi-Crap parking. Sounds like a pretty disrespectful way to refer to persons with disabilities. 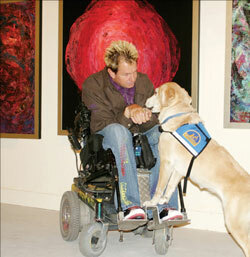 I respect and support the legitimate use of all aids to those with disabilities. The abuse of the privileges by others off their family members, at least in our area, are rampant. Sorry if I offended anyone deserving, but letting others use placards or tagged vehicles for errands so they can park closer is not the intent of the law. It’s also illegal, but again, is rarely enforced. Just one more way our society disrespects those with disabilities. I think it’s better we have some people misusing the system than having a great deal of people who need it missing out. I work in disability care and work with a wide range of people with disabilities, including autism, which isn’t so easy for people to spot. It’s silly of me, but I sometimes feel a little ashamed of parking in disability car spots when I take my client on outings, using their disability permit sticker. Not because they don’t need it because they do, that’s why they have one, but because I know there are often people who have attitudes like your one watching us and judging us for our “inappropriate” use of disability parking spots. I think it’s a lot better to focus on the positives than the negatives. Just because a person looks a certain way when you see them get out of their car, doesn’t mean there aren’t other things going on for them. Even for the family members who may be misusing the permit because being a carer for someone with a profound disability is one of the hardest things you can do. Sometimes the little things, such as easy access to the store so they can pop in and buy something for the person they care for is what will make it a good or bad day for them, and I’m not going to begrudge them for that. Kind of like religion and politics, sorry for my intrusion, probably just me having a bad day. I’ll stick to trying to make words rhyme. You’re fine. And you make a good point. The abuse has gotten way out of hand. I think it’s best when I mind my own business. I don’t know that person. It’s not up to me to decide if they are “worthy.” I know I am able-bodied and I don’t need to park there. I’ll leave the judging to others. Please don’t feel guilty. That law was passed for your clients. Give them that gift of acceptance for me. I know that and it’s silly of me, but I always feel super aware of it. Must work on that!! Just remember that most folks are like me and hardly notice who parks there. It does make it harder on all of us. I have a 5 yr old who has seizure disorder, (sever allergies with mild anxiety which can lead into seizures). He has a little ( I mean little, she’s 4lbs) Chihuahua, she has somehow been able to detect as the trainer said, she knows the basic commands and is quite, my son loves her and she has helped him/us in so many ways. She has (as I call go crazy ) alerted us she stands on her hind legs and kind of dances, and paws at him to get his attention & helps him to calm down if we are around,(anxiety, can trigger seizures) if no one is around she does the same but adds a high pitch bark whine, she is also trained to go get either her bag or the bag of emergency meds in a certain spot in my purse or in the cupboard. she also helps wake him up if hes a sleep & wakes us up, she has also cleared his mouth when he was foaming at the mouth. I am so glad we got her, she has saved him in more then one way. she has helped him to feel secure to go inside stores and restaurants that he would normally be scared to cause he says he don’t like it when ppl look at him afterwards . we tried a lab but he was just to big and my son didn’t like walking with him . He said ‘He’s just to big momma I want my little one back’ . so as any mom would do for her baby, I got her trained and paid out of pocket, and he has her go every where he does. I have contacted ppl, but no one will help me get her the right vest and patches or help me in doing what every I need. I have looked online and ppl want so much money for this stuff. cause she is small it costs more. We are allowed by law( so don’t think Im trying to scam), to take her anywhere). She has the special training and manners, and knows what to do in case he has a seizure. I have made a little jacket that carries his meds, But still have ppl tell Us she cant enter without proper identification, Ive told them no she is a working dog, if they refuse we leave. Does anyone know what these businesses are looking for ? I was told by the doctor she is allowed anywhere my son is, but I still have problems. they tell us she is to small to be a service/alert dog. Well I don’t care if she was a tea cup or a great dane she does her job and does it well. any ideas would be awesome. TO ALL THE FAKERS AND WANNA BE’S THANKS TO YOU MY SON HAS A HARD TIME GOING ANYWHERE WITH HIS SERVICE DOG ! According to ADA you don’t gave to show them anything. Tell them so. Then call them out in public. They deserve to be shamed. we refuse to go back to a restraint they made my son feel bad and told him to take his doggy friend back outside. since then my son has been told to advise others she is a service dog and she maybe small but she has a big job. Since we have moved and we are in a new town the new town doesn’t seem to understand, we barely go anywhere. this town keeps telling us to get identification for her. I think we will be do that, we have been cooped all for a while and I think we are due for a nice night out for dinner. YOu can if you choose to, but the law says you don’t have to. Perhaps a heartfelt letter to the editor of the local paper is in order. If you don’t want to write it, email me the town and I’ll write it for you. That reminds me about the story of the veteran and his servicedog who tried to enter starbucks: http://www.foxnews.com/us/2014/02/09/disabled-us-veteran-denied-entry-to-starbucks-over-service-dog/. Hope the employee of starbucks will read your post, Rumpy. If only they would bother to educate themselves. 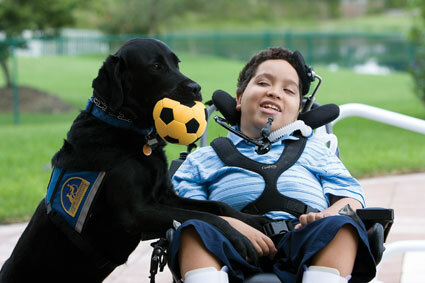 I think that service dogs are wonderful animals….just humans have to make clear what is right and what is wrong…. It’s never the animals at fault, it’s the humans. It IS the law… and it IS a GOOD LAW… THAT is just how it is!!!!! Perfect tips Rumpy!!!! Thanks for sharing!!! I know a woman who was given a hard time about her dog because her illness wasn’t visible, I felt awful for her but she dealt with it very well. Good of you to present both side of the coin and in a very informative way. U R the best Rumpy!